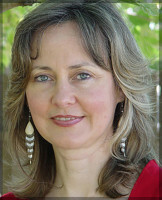 Janis Mattox, composer and pianist, is a native of Minnesota and graduate of the University of Minnesota (BA) and Northwestern University (MA) in Evanston, Illinois. She began creating multi-media works merging live performance, dance, film, and interactive digital music technologies at Stanford University’s Center for Computer Research in Music and Acoustics in the early 80’s. Her music-drama “Shaman” (1984) became the subject of a feature article in Smithsonian Magazine by Alan Rich. She was co-producer with Loren Rush and Elliot Mazer of “The Digital Domain” (1984-Elektra), a best selling classical CD which became an audio standard in the industry. Her video ballet “Book of Shadows” (1992) received over a dozen first-place awards and over fifty international screenings. Her most recent work is “Solombra” (SunShadow) – a song-cycle based on Brazilian poetry which premiered in 2005. It was support for "Tempo Perdido," a fantasy woven from the poetry of Latin American women - for soprano and chamber ensemble. Find good teachers and mentors and get the work out there. To say that artists need more support is an understatement.